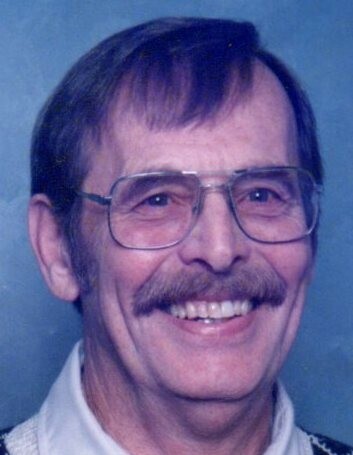 David Lee Stoner Sr., 88, of Carlisle, PA passed away Monday, February 11, 2019 at his residence. He was born October 4, 1930 in Lebanon, PA to the late Ray Arthur and Alva Schriebner (Rhoads) Stoner. David worked as a construction contractor and enjoyed camping, traveling and playing with his dogs. He especially loved spending time with family. David was a United States Navy veteran of the Korean War. Surviving is his loving wife of 64 years, Rose Marie (Derick) Stoner of Carlisle; children, Ava May and husband, Jeffrey and David L. Stoner Jr. and wife Debra, all of Mechanicsburg, Bart Stoner and wife, Kelly of Leo, IN and Michael Stoner and wife, Stacy of Carlisle; 11 grandchildren; and 6 great-grandchildren. Surviving siblings include: Rae" Dolly" Wilson and husband Ron of Camp Hill and Sylvan Stoner of Montana. David was preceded in death by his siblings, Eugene and Harold Stoner. A funeral service will be held Friday, February 15, 2019 at 11:00 AM in the Carlisle Alliance Church, with a viewing one hour prior to the service at 237 E. North St., Carlisle, PA 17013 with Rev. Timothy Keller and Rev. Doug Enck officiating. An evening viewing will be held Thursday, February 14, 2019 at 6:00 PM until 8:00 PM in the Malpezzi Funeral Home, 8 Market Plaza Way, Mechanicsburg, PA 17055. Burial will be in the Cumberland Valley Memorial Gardens with military honors presented by the Cumberland County Honor Guard. In lieu of flowers, memorial contributions may be made to Hospice of Central PA, 1320 Linglestown Rd., Harrisburg, PA 17110. Arrangements are being handled by the Hollinger Funeral Home & Crematory, Inc., Mt. Holly Springs, PA 17065. Visit www.HollingerFuneralHome.com for condolences to the family.